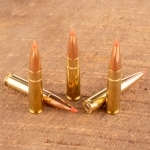 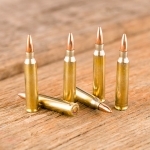 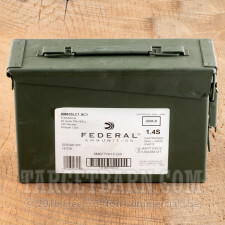 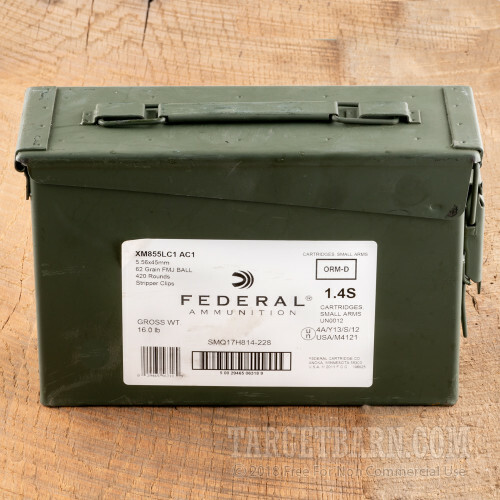 This 5.56x45 cartridge by Federal features a 62 grain projectile. The XM855 bullet’s green tip denotes its steel core and penetrator tip, perfect for piercing light armor -- it ought to go through a thin sheet of steel like it was made out of warm margarine, as it will auto glass, plywood, and other barriers separating you from your target. 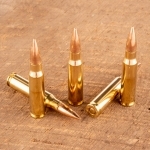 The bullet’s full metal jacket even further facilitates penetration, and also ensures certain feeding in semi-automatic weapons. 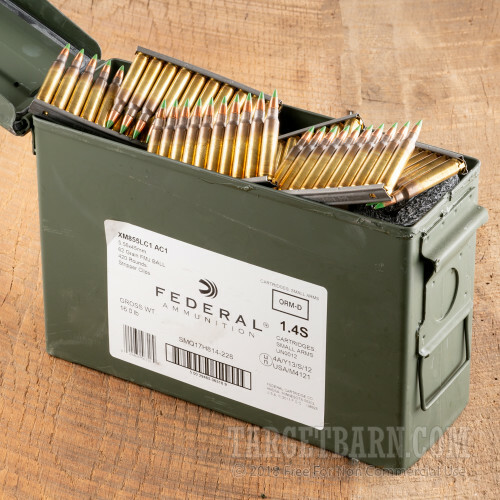 These 420 rounds are neatly packed in a reusable steel mil-spec ammo can, which locks tightly to keep its contents uncontaminated by moisture and dust. 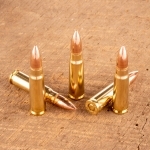 The rounds come fitted ten to a stripper clip, so you can enjoy fast and easy reloading at the range or in the field. 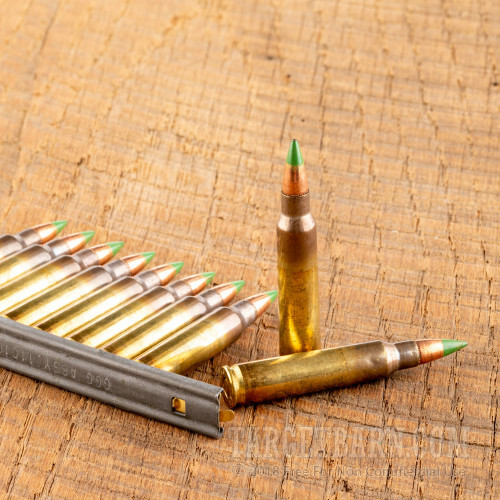 These rounds additionally feature reloadable brass casings, non-corrosive primers that suit them for long-term storage, and powder that burns clean for gentle wear on your rifle’s action and bore.